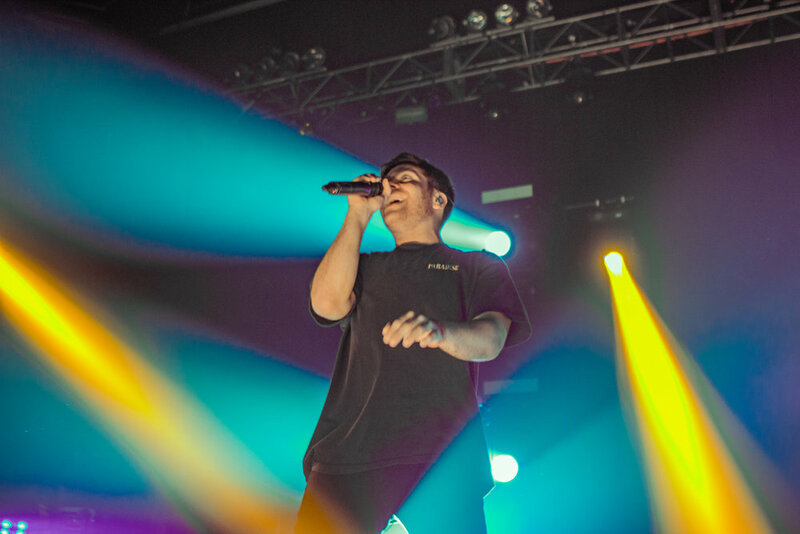 Last November 5th, Hoodie Allen, American rapper from Long Island, New York performed an exciting, intimate show at the Aztec Theatre in San Antonio, Texas. 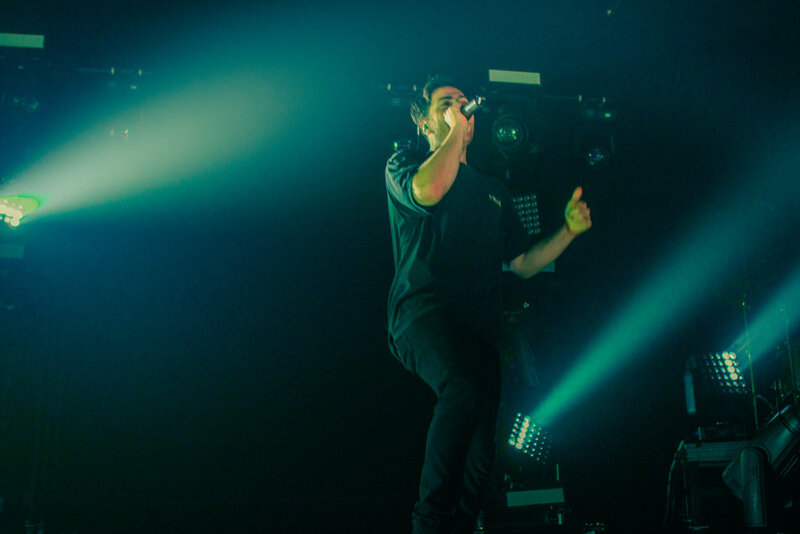 As fans were waiting for Hoodie to take the stage the roar of his fans chanting his name filled the stadium. 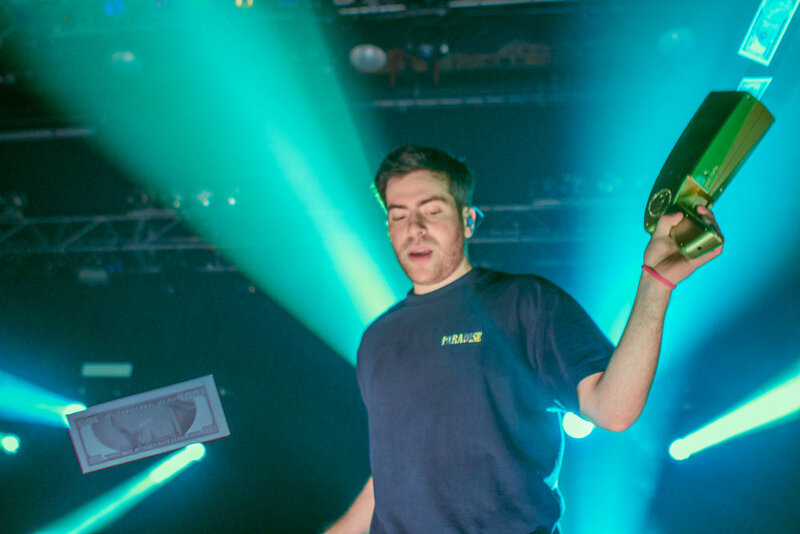 Many of Hoodie’s fans had traveled from all over parts of Texas such as El Paso and Laredo. It was a show that many fans had been anxiously been waiting to see for months. The All-American rapper took the stage to perform Believe which is on his new album The Hype. The Hype album was released on September 29th, and features some of the crowd's favorites such as All My Friends, Believe, Sushi, and Fakin’. During Believe, the rapper brought out a machine filled with fake dollar bills and shot them into the ecstatic crowd. The crowd screamed with delight and scrambled to pick it up. Later during the set, he suprised fans by playing older fan-favorites such as Are U Having Any Fun? and You Are Not A Robot which features a chorus from none other than Marina from Marina and the Diamonds herself. During the very popular track, Cake Boy, Allen let a fan take the microphone to rap the lyrics of his song. Later on during the song, he brought out three cakes and threw them into the crowd. 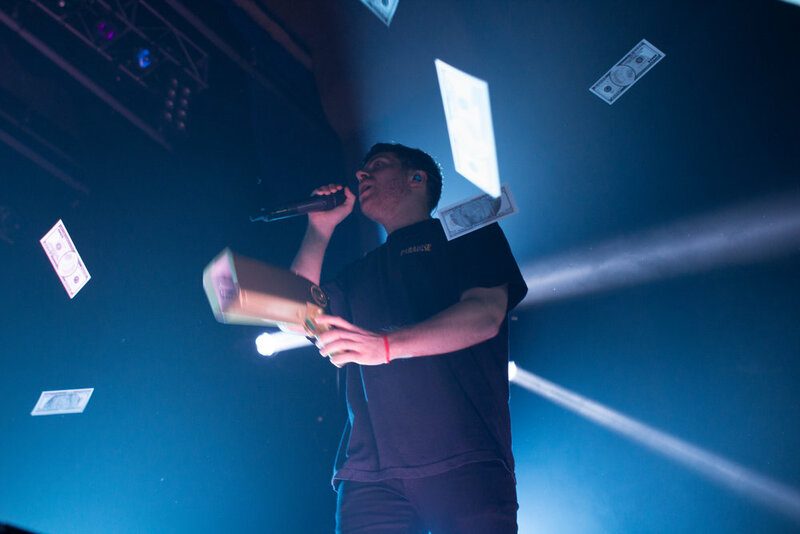 This has been a tradition of fans to bring cakes to the shows, and for Hoodie to throw them into the crowd. 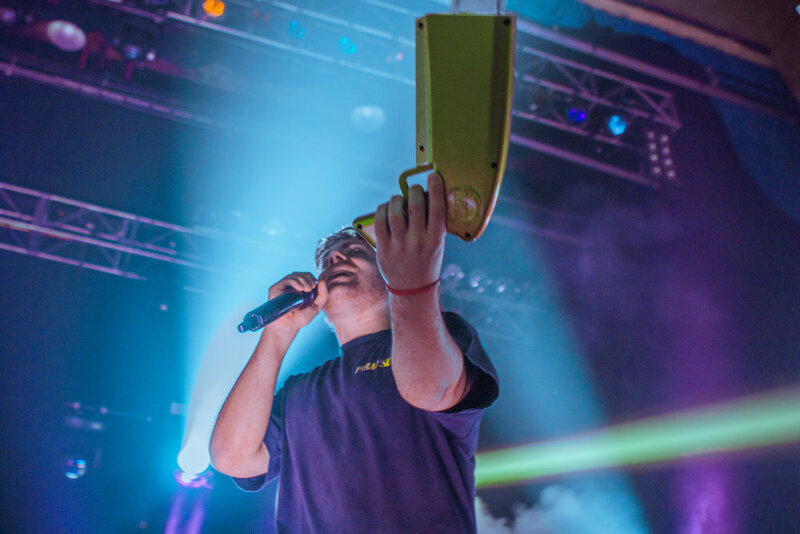 The fans live for this and many bring multiple cakes to shows, trying to increase their chances of being caked. 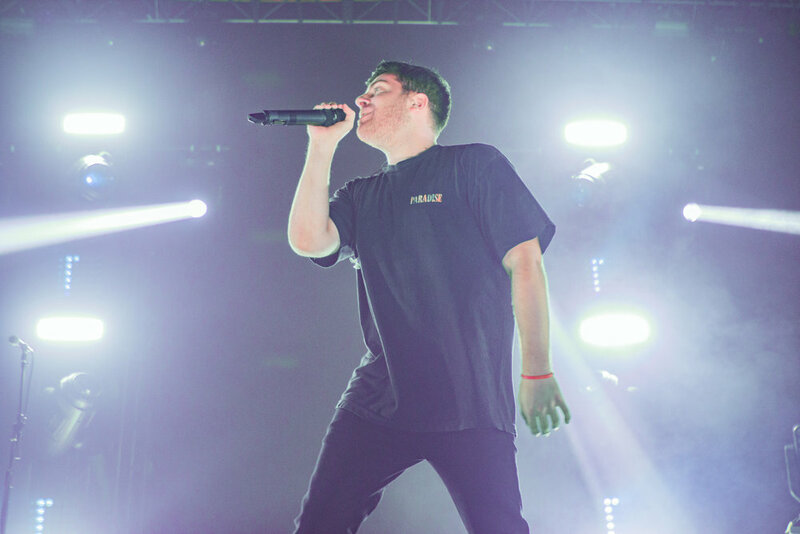 Hoodie Allen is a very fun, exciting and vibrant performer. He cares deeply about his fans, trying to get as close to them as he can. 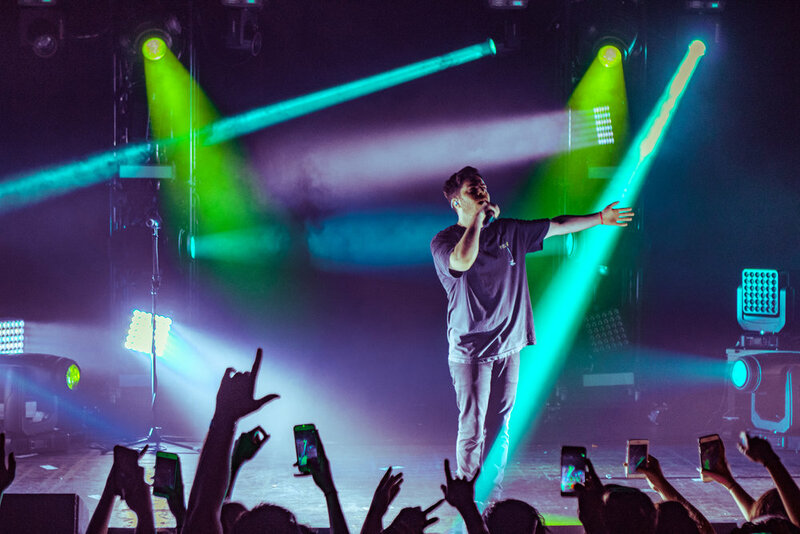 The New York native puts on a show that made audience feel energized and ecstatic. Allen brings a genuine adoration for his music and does not fail to dissappoint live.